The Aldi super-six this week are figs (3/4), mangetout (150g), garlic (4), cocktail vine tomatoes (250g), nectarine (4/5) and fun size pears (7-10). They are all 69p. That offer continues until next Wednesday, 10th September. This is a cheap meal idea if you have kids. 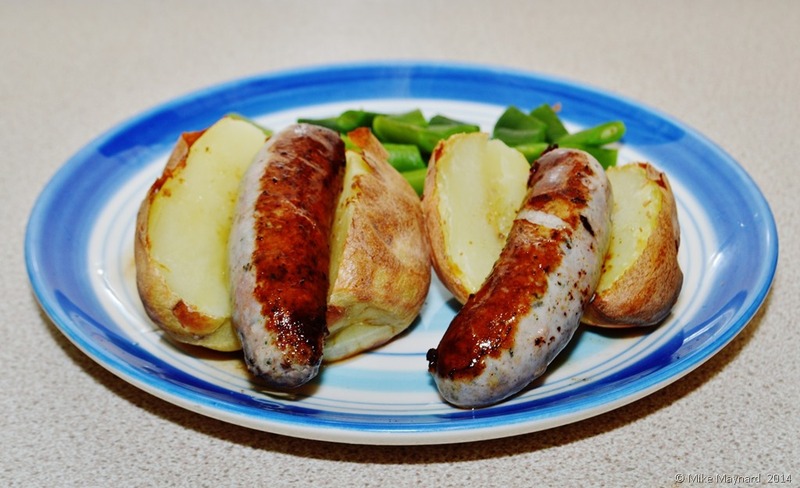 Give them a sausage in a baked potato, with lots of veggies. If they’re still hungry, give them another baked potato! This meal was delicious. I’ll have to stock up and freeze them next time they have those gluten free sausages. I renewed my ‘value line rental’ with TalkTalk this week. It was £118 last year, this year they wanted £172.20. If they think I won’t cancel my contract when it runs out; they are wrong. It’s extortionate. I had that TV box for 7.50 a month and they put that up to 8.50. I’m sure their profits and share price will go up this year. The question is: Are TalkTalk shares a good long term investment or will the share price tank as customers desert the company in their thousands… Saga banged their prices up just before they hit the stock market, now people are deserting them. I just spotted a fishing shelter on the Aldi site or 19.99. They are good, you can fit a sun lounger inside. 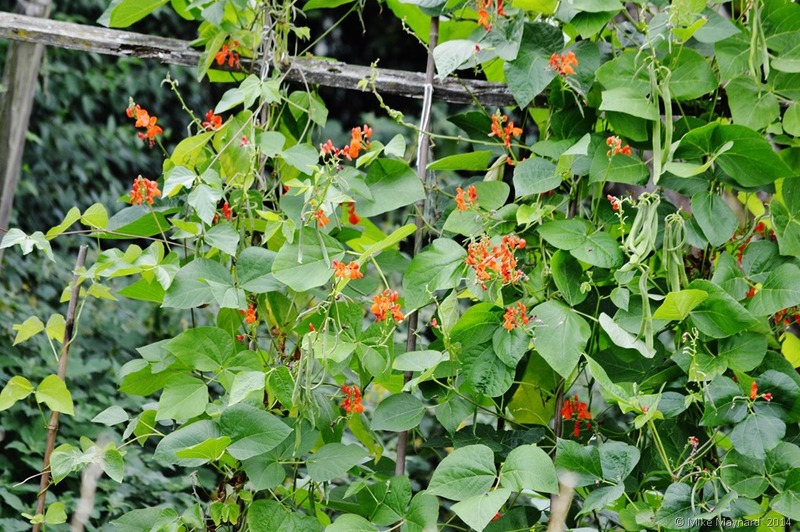 I’m still picking runner beans from my garden. I’ve had quite a lot and saved money. I think they have provided me with vegetables for a month or more now. Have you spotted a useful bargain this week? Please share you finds in the comments box. You can also follow me on Twitter. This entry was posted on 4, September 2014 by Mike10613. It was filed under culture, Finance, food, Gourmet Food, life, local, Money, save money, Thrifty, Thrifty Thursday and was tagged with Aldi, gluten free sausages, special buys, summer bargains, super six.